Check out this XCAR video featuring the Rage Comet R, a 200hp spiritual successor to the dune buggy. Like the dune buggy it’s a simple, rear-wheel drive machine, with a borrowed engine, and a penchant for on-and-off-road fun. Whereas the original dune buggy’s performance could be described as peppy, the Comet R’s is absolutely Herculean. Instead of a 50 hp VW motor, it’s powered by 200 hp Kawasaki ZZR 1400. The 1,325 cc engine revs to 11,000 rpm and will hurl the 600 kg (1,323 lb.) Comet R from 0–60 mph in about 3.5 seconds. That’s supercar performance from a buggy that’s just as comfortable jumping berms as it is melting your face at a track day. As a footnote, the original Meyer’s Manx dune buggy weighed about 635 kg (1,400 lb.). Oh, and the Rage Comet R hails from England. Blimey! Although I haven’t been so great at keeping on the blog lately (though I will be changing that), I have been good at keeping my Pinterest account up. And through a fluke of nature (which was Pinterest recommending one of my boards to new users), I now have over 20,000 followers. Whoa. 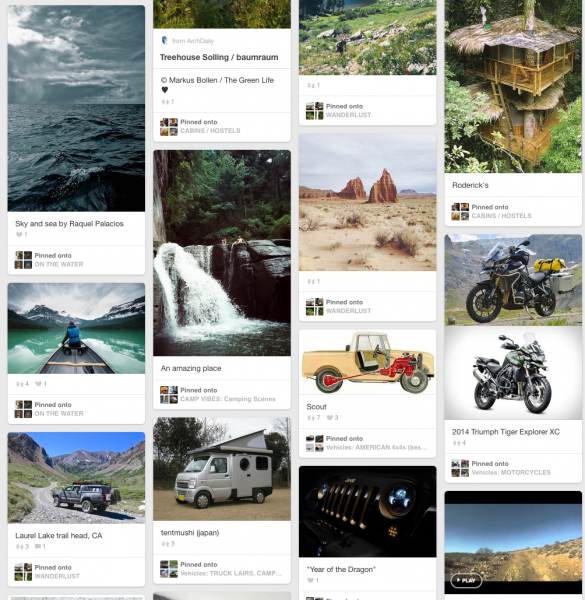 If you like your overland, off-road, camp, and adventure information in bite sized chunks, check out my Pinterest page. I have boards on camping, truck mods, Land Cruisers, Land Rovers, Skills, and a bunch of other stuff too. If you haven’t checked it out yet, you’ll probably dig it. Here are all of the WCXC boards. And here are all of the pins. The Atlantic has a great set of images up on its site regarding the recently completed Dakar Rally. Check them out here. This photo showed up on Facebook a few days ago, apparently. 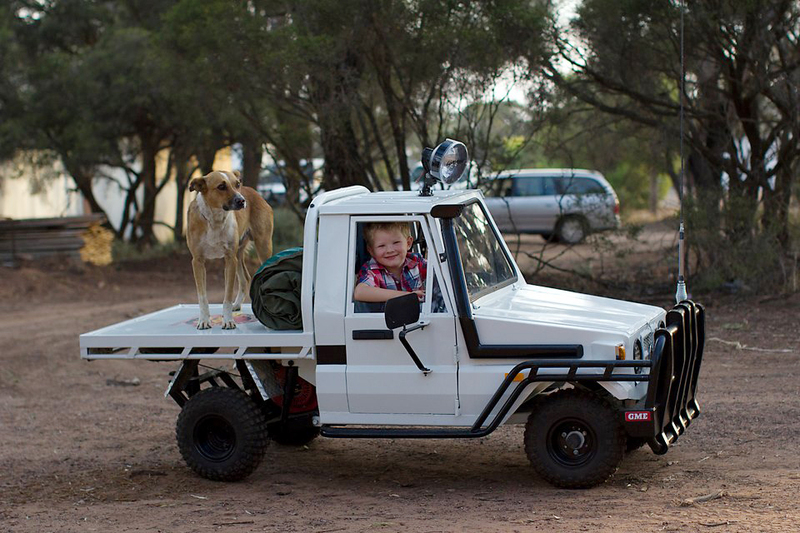 An Australian dad built his son a scaled-down 70-series Land Cruiser, complete with Lightforce spotlight and bull bar. I wonder if the antenna means it has a radio as well. It occurred to me that a truck like this could totally go on the trail with an adult convoy since trail speeds average about 10 mph. How amazing would that be for a kid out in the wide open country with their own truck and their family there for backup? In a related story, this was told to me the other day. A guy went out with his kids in his FJ80. They were in a big, dry river bed, so he put the truck in low range, got out and let his kids drive it around. They were nine and twelve. “They’ve been driving go-karts for years, so they know how to drive pretty well.” Then after a bit he saw his kids stop the truck. “What are they doing?” he thought. Two seconds later they were barreling across the wash. They had shifted the truck back into four-wheel-high and were giving it the boot. “Hey get back here!” he yelled. “I gotta make sure they’re not watching me next time when I put it into kid-mode,” he told me. 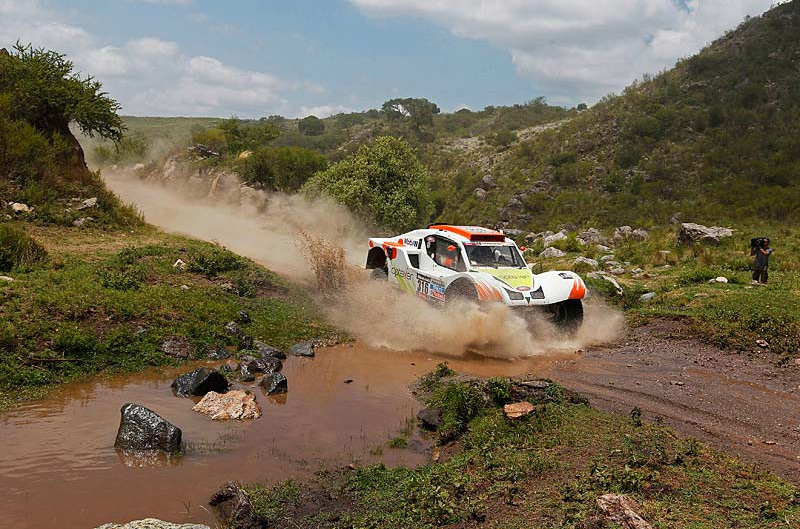 The Dakar Rally has been blasting across South America for more than a week now. 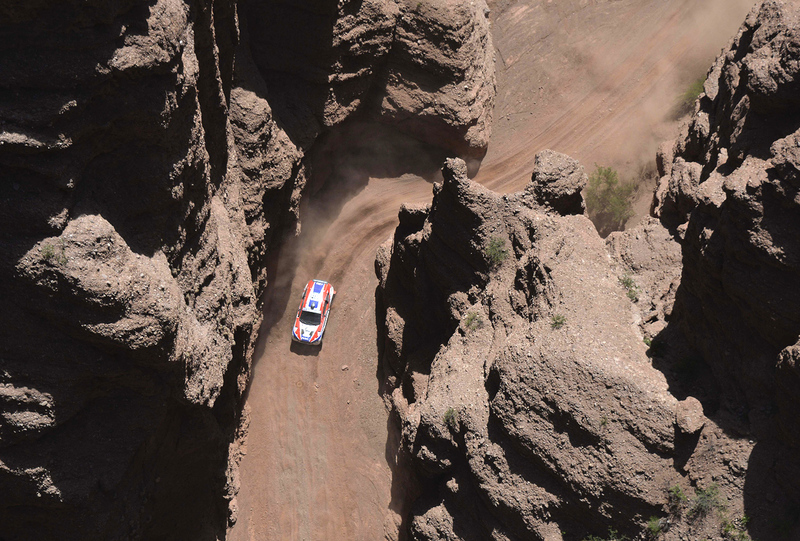 If you’d like to follow the action, here’s a link to the official site: Dakar Rally 2013.